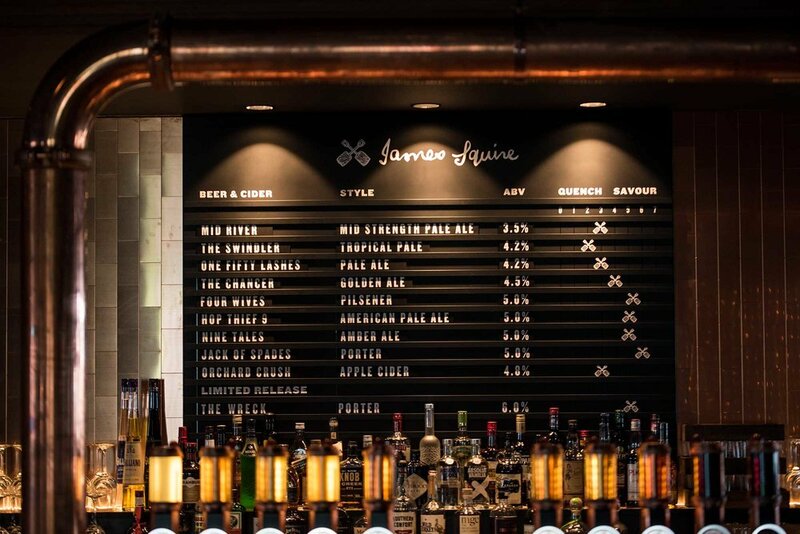 The Rogue Squire, completed in August 2018 involved the extensive renovation of the existing Wheelers Hill pub into a new format befitting the service style and aesthetic congruent with the James Squire brand currently being rolled out across Australia. Cayas Architects provided full Interior Design and Architectural services for the project which was another successful collaboration between the ALH Group and Lion. Inside the hotel, decades of layered decoration have been stripped back to expose the original brickwork and floors, and reveals an honest, utilitarian building fabric. Partnered with natural timber finishes, the brick gives a wonderful sense of warmth and history. 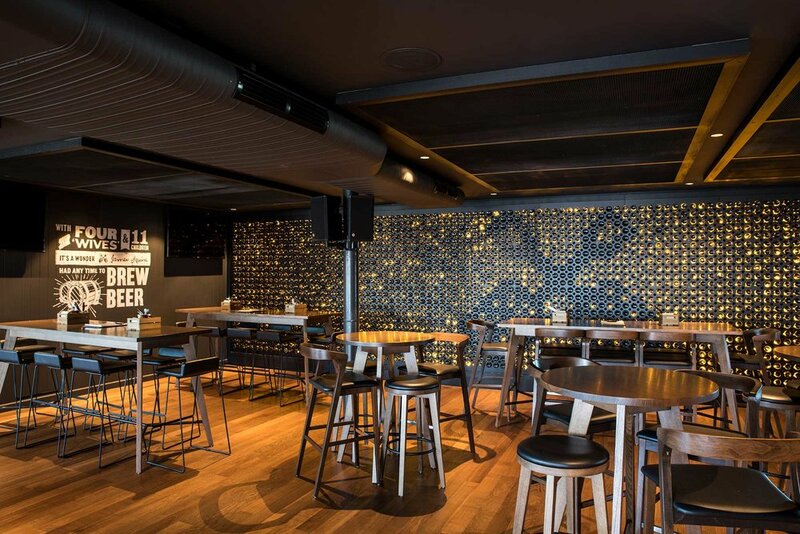 Playful use of copper and amber glass provides contrast, and references the passions of Australia’s first brewer and the ongoing creation of James Squire craft beer. Exposed and celebrated beer python pipework expresses the function of the space and belies the intent of raw hospitality design. Located in Wheelers Hill Victoria, the Rogue Squire is the latest of many Hospitality Architecture projects Cayas Architects has completed in Victoria of recent years.